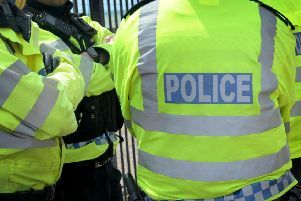 Police have issued a warning after two Horsham pensioners were conned out of £7,500 by scam callers this week. Officers said two calls were received by elderly women on July 18 and 19 from someone claiming to be from the Metropolitan Police. One of the women was told her card had been used fraudulently in Birmingham and she needed to withdraw £5,000. She did and handed it over to a courier sent to her home. Police said the other woman was told she needed to withdraw £2,500 and also handed it over to a courier. PC Jon Walker said: “The police would never contact people and ask them to withdraw or hand over cash to officers. The people carrying out these frauds are deliberately targeting those they think are vulnerable, so please do look out for your friends, family and anyone you feel may be at risk by passing on this message, to help prevent further people falling victim to this type of fraud.